The 12th season of the Indian Premier League is back, and Delhi Capitals (formerly Delhi Daredevils) are the dark horses of the season. Captained by Shreyas Iyer, Delhi has a formidable squad with the likes of Shikhar Dhawan, Prithvi Shaw, and Rishabh Pant in the top order, and veteran player Colin Ingram in the middle order. On bowling, there's Sandeep Lamichhane and Trent Boult to up the ante. 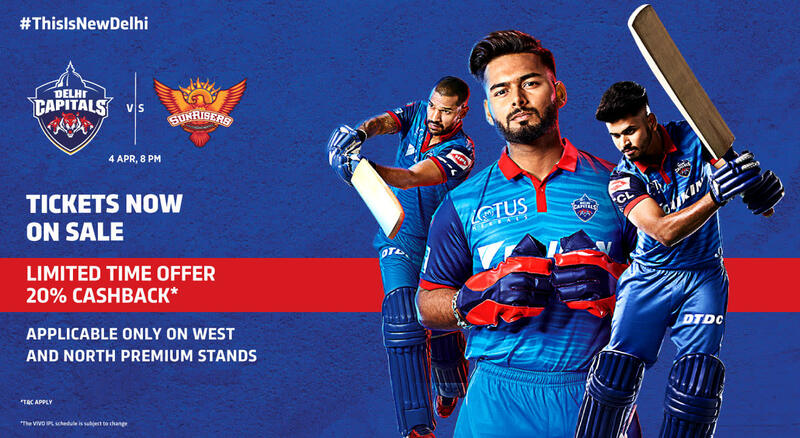 A squad rich in experience and young players, Delhi Capitals are raring to go this edition. You can write to help@insider.in with your certificate attached for further details. Please mail corporatebookings@insider.in, or call us at +91-22-489-32189.